The studio is set up. Our talent is somewhere doing her final preparations. It's filming time! This is especially fun because the artist we're filming is Lynn Powers. She's the "voice" of all our videos and one of the co-founders of Creative Catalyst Productions. 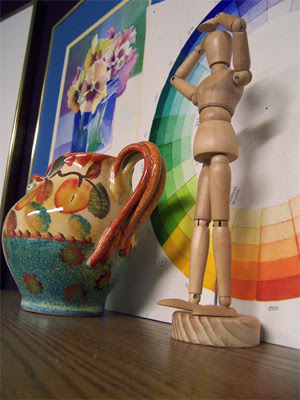 Lynn has taught watercolor for years and we're really looking forward to her beginning watercolor workshop. Ratindra Das arrived today! Or rather his DVD. Besides the logistical problem of where to put all the boxes (I can hear Susan down in the office arranging and rearranging boxes) it's always really exciting to have the truck show up with the videos. Yesterday was my birthday and we also got it off for President's Day. What did I do all day? I worked. There might be some irony there but it's really nice to be in the office alone AND I'm almost caught up with my hours. I'm making great progress on David Kitler's drawing video. What an amazing artist! I'm learning quite a lot while I edit. It's great because I'm currently taking a beginning drawing class at the local community college and the two work nicely together. I write a newsletter for work. They've got the link up for January. 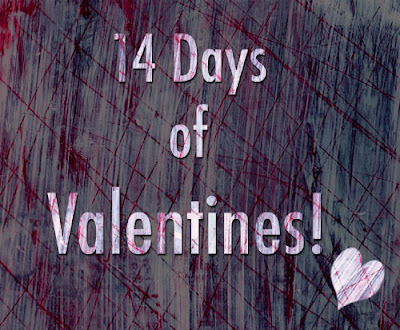 So here it is (tah-dah!) the January edition of Craft Cat. Cut up a ton of green hearts in various sizes. Poke chopstick into big Styrofoam ball. 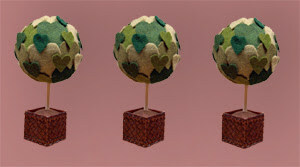 Glue on green felt layers onto big Styrofoam ball until all white is covered. Cut small hole in "dirt" felt and lay over small Styrofoam ball. Push small ball with felt up into the napkin ring so that it's snug and the felt hole is center facing skyward. 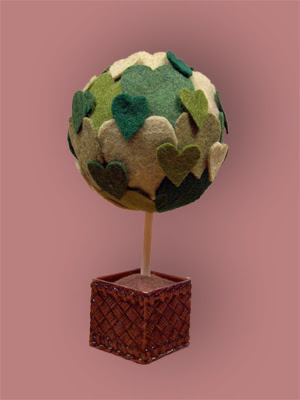 Poke chop stick (with "tree" on top) through the small felt hold into little ball. Create three and leave along a windowsill. Just in under the wire. My boyfriend was looking at the project and then left to go see if he could rewire my parents new DVD player so that it shows movies in actual color. He took a look at me and my dry glue covered hands and said, "Go back to fighting your war of craft escalation." 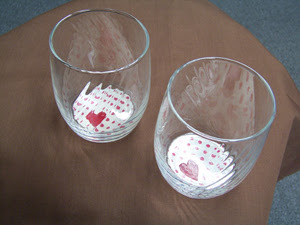 Spiff up some glasses for your Valentines Day festivities. I found 2 for 99cents at Goodwill. 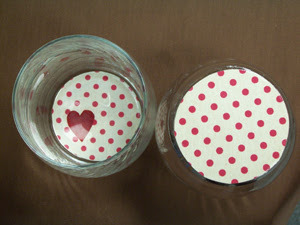 Cut 2 circles of paper per glass. Make them slightly bigger than the glass bottoms. Hold circle-sandwich to the bottom of the glass and estimate how much should be cut. When you've got the right size, glue the heart onto one side. 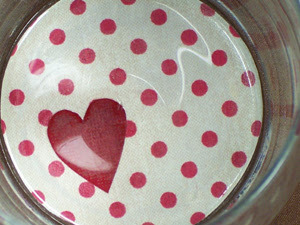 Cover heart-side of circle with thin layer of ModPodge. Try to smooth out glue around heart because it will gather. Carefully place on bottom of cup (NOT inside of the glass). Turn glass over and press into table to secure. 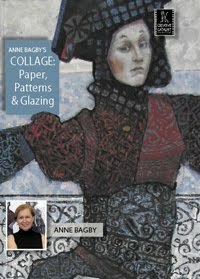 Cover other side with ModPodge with several layers of glue. Allow to dry in between. Seal around edges. 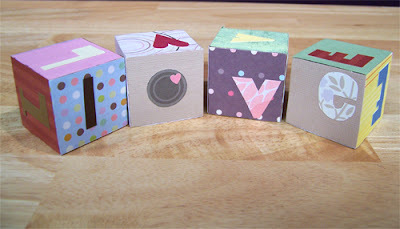 You can use your fingernail to scrape off any ModPodge that has strayed too far away from the gluing area. These will not survive the dishwasher. To clean, hand wash carefully. Fold foil back onto itself into narrow ribbons. Choose 2 cookie cutters that can fit inside each other. Wrap foil around each. Leave a little overlap and tape with double sticky tape. Remove cookie cutter. Do a little reshaping of foil. 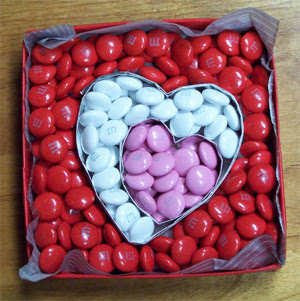 Put foil shapes in box on top of tissue paper and fill each section with a different color of M&M.